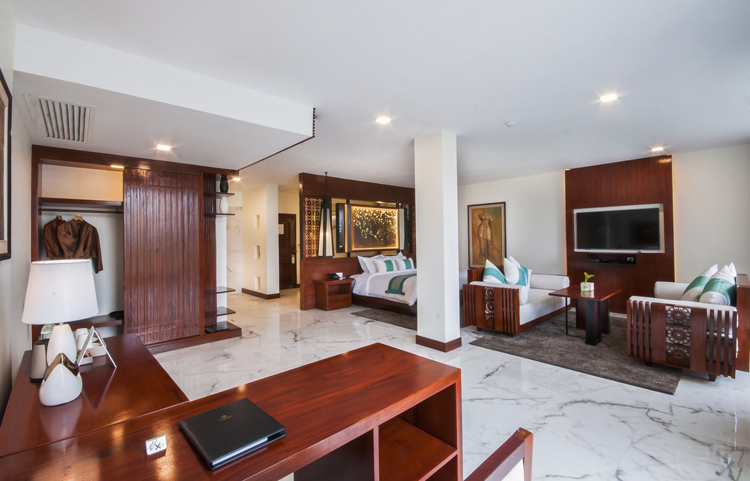 Our leading category of Deluxe room has a rich décor that blends well with our peaceful and tranquil surroundings. 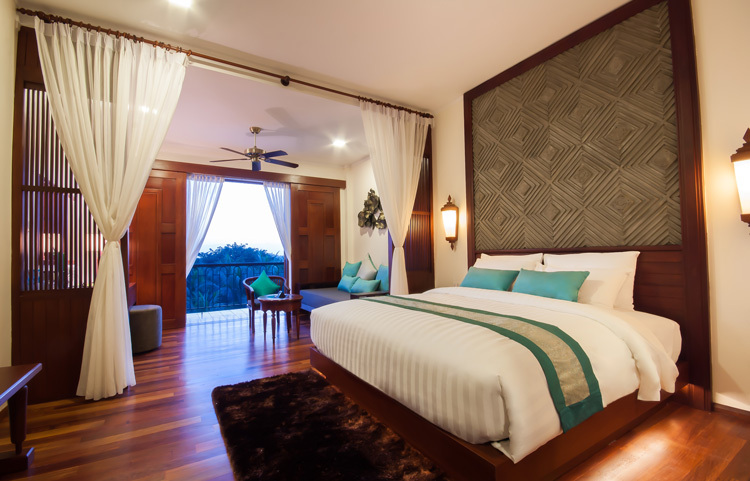 Each Deluxe room is furnished with traditional Khmer furniture made of teak with silk accessories. 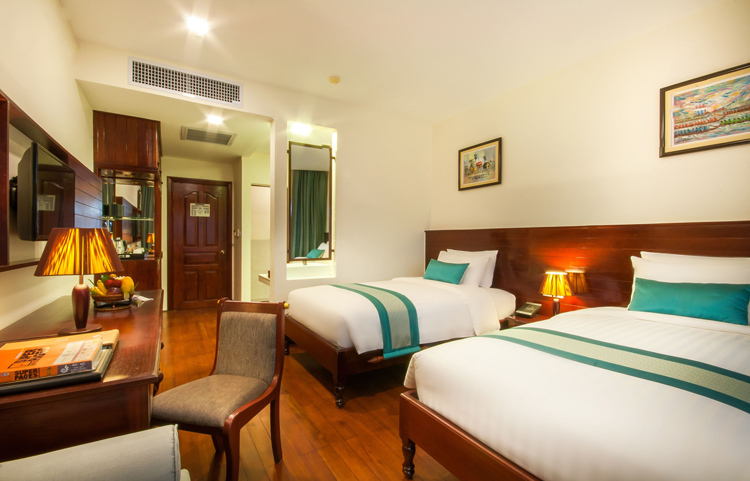 Although the décor is stylishly rich, it is extremely comfortable. 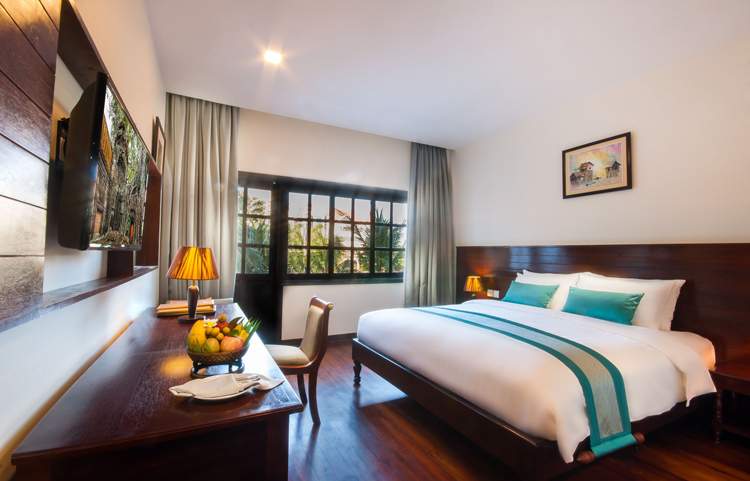 Guests have their choice of twin or king-sized beds made with luxurious bedding. 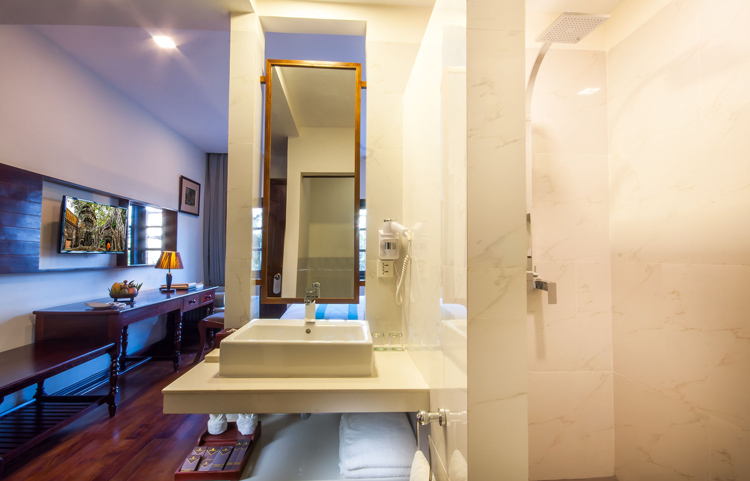 Bathrooms are elegantly designed and spacious. 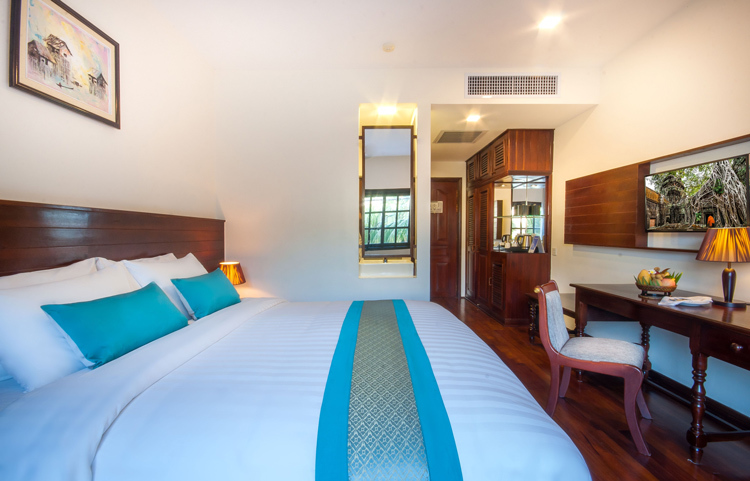 When staying in a Deluxe Room you will have a view of our tropical garden as well as the city of Siem Reap.